An important part of HealthInfoNet’s work has always been supporting health care transformation and improvement projects and programs. Over the years, we have partnered with health care providers, government agencies, private companies, non profits, and others on a variety of programs. Below is a list of current programs. HealthInfoNet was selected by the Robert Wood Johnson Foundation DASH Program as one of ten grantees to implement projects that improve health through multi-sector data sharing collaborations. DASH is a national program of RWJF, the nation’s largest philanthropy focused exclusively on health and health care. Read the Press Release. In 2013, the State of Maine was awarded one of six State Innovation Model (SIM) Testing Grants sponsored by the Centers of Medicare and Medicaid Services (CMS). The three-year grant with total funding of just over $33 million will be used to help improve care and reduce health costs in Maine. Specific areas of focus include supporting current payment and delivery reform efforts and using health information technology to better understand cost and quality to inform health reform efforts across Maine. HealthInfoNet is one of three sub contractors to this grant. Read more. In 2013, The State of Maine in partnership with HealthInfoNet, was awarded a three-year grant to improve care coordination for Maine’s veterans. Awarded by the Health Research and Services Administration (HRSA), the funding will be used to connect the VA Maine Healthcare System comprised of the medical center located in Augusta and 11 outpatient clinics to the health information exchange. Read more. Under the Children’s Health Insurance Program Reauthorization Act of 2009 (CHIPRA) Maine was one of 18 states funded to test promising ideas for improving the quality of care for children. HealthInfoNet partnered with the Office of MaineCare Services and the Muskie School of Public Service to test health information technology solutions to support the grant program goals. Most of our work is focused on using the HIE to calculate quality measures important to the grant and to pilot sharing clinical assessment medical record documents for foster children referred by the Maine DHHS Office of Child and Family Services to the Edmund Ervin Pediatric Center’s PREP program. Baseline evaluation found that children in foster care that received this assessment by the PREP program were less likely to be placed in residential care, be taking prescriptions, or to have general or psychiatric inpatient stays and were more likely to see a physician and receive speech or occupational therapy. The Maine Regional Extension Center (REC) was one of 62 centers nationwide, funded through a grant program of the Office of the National Coordinator for Health Information Technology. The RECs were established to help primary care providers transition from paper to electronic health records and achieve Meaningful Use Stage One. The RECs provided resources and connections to help them overcome the many barriers to adoption, implementation and use of technology to improve care quality. 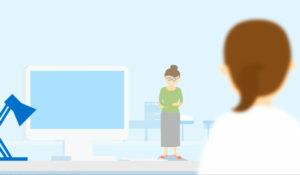 HealthInfoNet was funded to help 1,000 primary care providers and all of Maine’s 32 Critical Access Hospitals implement certified EHR technology and connect to Maine’s HIE.